Caramelized. Do I need to go on? 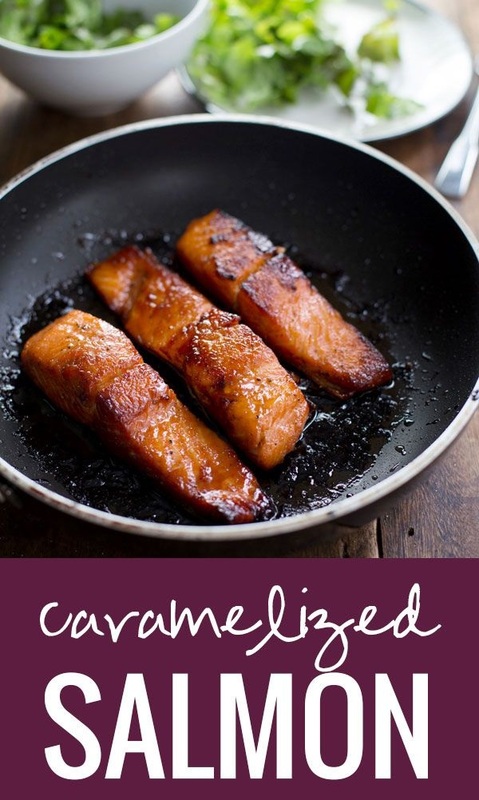 Because the word caramelized pretty much speaks itself straight into my soul. There’s just something about food – any food, including but not limited to meat and vegetables – that becomes sweet and salty and textured and browned into some kind of caramelized dream that makes me never want to stop eating. It’s regular food meets candy meets me floating on food lovers’ cloud nine. So this salmon is caramelized. It’s like you’re painting a beautiful and crunchy caramelized outer crust on one of America’s most beloved fish-es. ← a hard fact based on my opinions and perspectives.